and there is a place of silence from where all sound emanates. I have been interested for many years in how sound can help induce relaxation, altered states of consciousness, and a healing response. I am a multi-instrumentalist whose recorded and live performances have inspired listeners to experience a sense of timelessness and eternity. 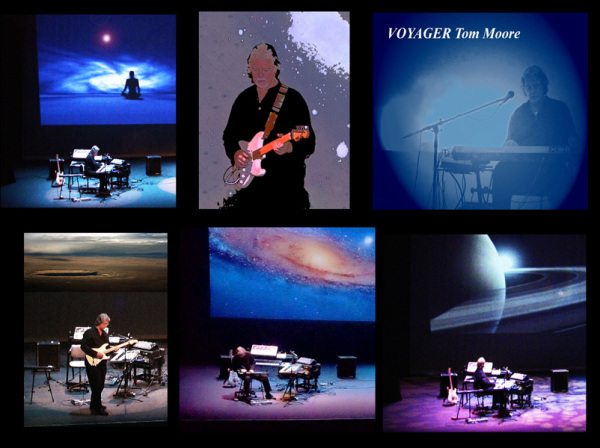 As Voyager Tom Moore I create, record, and perform "Space Music." My intention is to explore the timeless depths of inner and outer space, and to create and perform music that inspires us to move beyond our boundaries. My "Outer Space" music journeys express the awesomeness of outer space and the excitement of the exploration of our physical universe. My "Inner Space" music uses sound and silence to create deeply meditative music that helps us shift our attention from external stimuli to the more subtle place of "Feeling and Being." This music expresses an undercurrent of awareness and an inner spiritual presence. My experience is that the spiritual dimension gives meaning to our lives. Sound Journeys: "Meditative Journeys through Music & Sound"
VOYAGER Tom Moore uses sound and silence to create meditative music that helps you shift your attention from external stimuli to the more subtle experience of "feeling and Being." and the greater possibilities of the human spirit"
A multi-media musical evening. Performing music that speaks to hope and possibilities, and inspires us to move beyond our boundaries. It is a musical performance that is woven into a seamless sequence of sound, emotion, and spatial imagery. 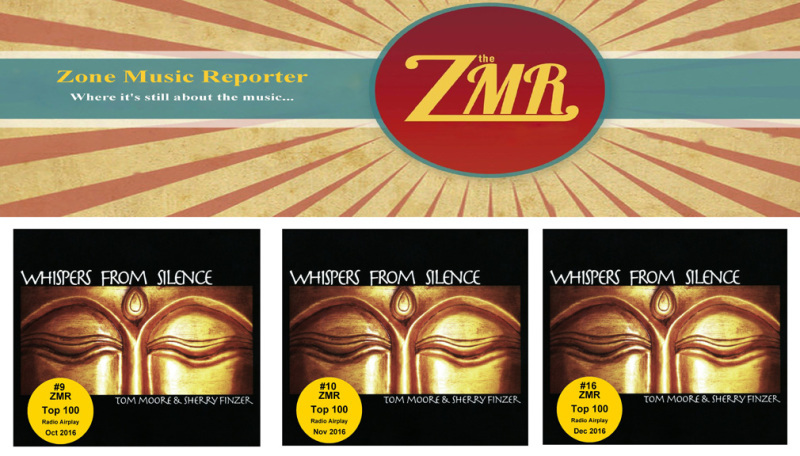 I am honored to have my and Sherry Finzer's album Whispers from Silence be in ZMR's top 100 albums of the year. The album also has qualified for ZMR's "Best Relaxation/Meditation Album" and "Best Album" of the year awards. Zone Music Reporter is The Industry Source for New Age, World, Ambient, Electronic, Relaxation, and Instrumental Music.